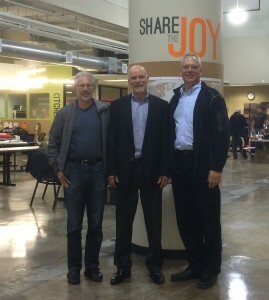 University of Michigan Professor and PeopleFlo board member Dr. Jeffery Liker and William Blankemeier, President of PeopleFlo, visited Menlo Innovations, a software development company based in Ann Arbor, MI. Professor Liker suggested the visit so PeopleFlo could learn first hand from a very creative company that is applying lean product development in new and holistic ways. To learn more, click Menlo Innovations.